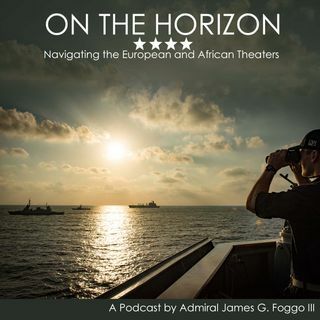 In Admiral Foggo's 4th podcast, he discussed the end of Trident Juncture, NATO Commanders Conference in Belgium, his recent trip to Flanders Field, and Russian interactions. Admiral Foggo is the commander of U.S. Naval Forces Europe and Africa and the commander of Allied Joint Force Command Naples.